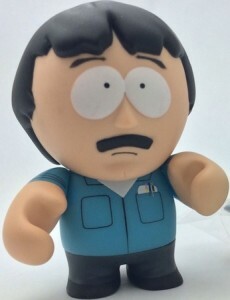 "So come on down to South Park and meet some friends of mine!" 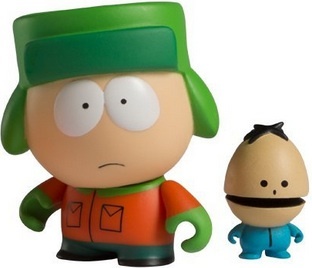 Released in 2011, these incredibly realistic South Park figures from Kidrobot remain popular and have fans clamoring for a series two release. 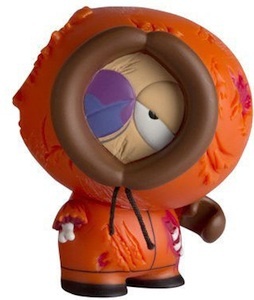 2011 Kidrobot South Park Mini Vinyl Figures operate under a blind box format and offer a total of 14 figures for South Park fans to collect. 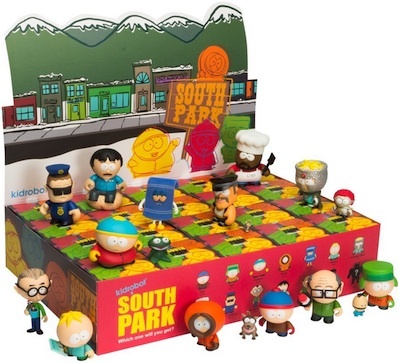 Coming in 20-box cases, each box includes a random figure, corresponding square sticker, and most come with a character-specific accessory. 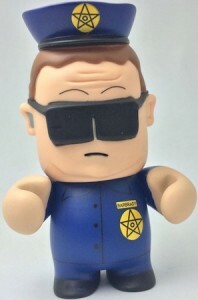 The mini figures have posable arms and heads. 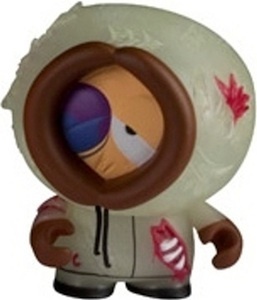 The majority of the 14 figures can be found in each case, but several are chase figures. 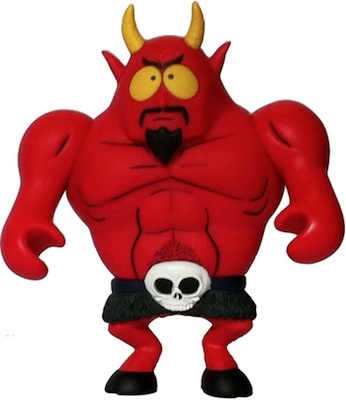 The toughest pull is the oversized mystery figure, Satan. Although official odds were not provided for Satan, it looks like he falls 1:80 boxes or one per master case (4 cases). 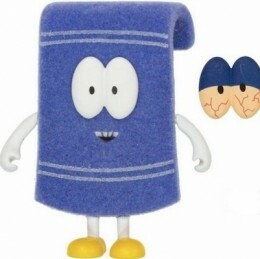 Most of the main characters are featured in the product, including all the prominent boys, like Cartman, Stan, Kyle and Kenny. 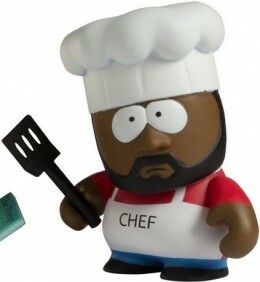 The 2011 Kidrobot South Park mini vinyl figures vary in height, but are each approximately 3". 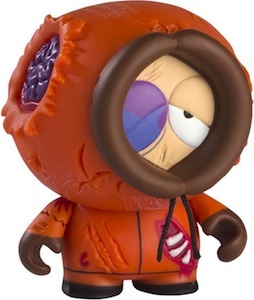 There are also 1" Kidrobot South Park zipper pulls that cover many of the same figures, as well as several other characters from the show. Click on the Visual Guide tab above for a complete look at all 14 figures, including odds and accessories. 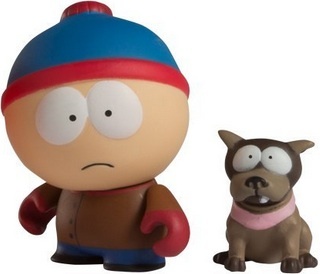 Three additional figures were produced in conjunction with the line and are exclusives. 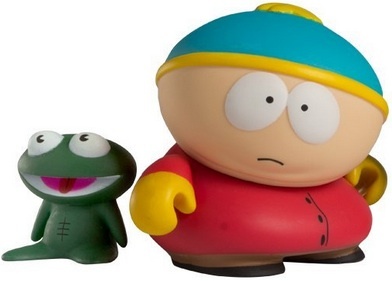 These figures cannot be found in the blind boxes. 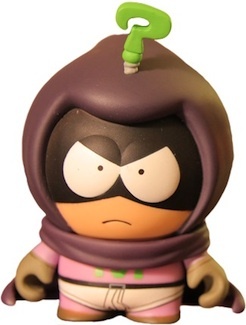 Most notably, the 2011 SDCC exclusive Mysterion figure, limited to 1,000 figures, is very popular, with prices running into the hundreds. 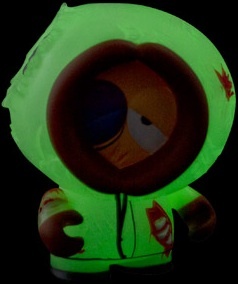 Kidrobot also revealed that 10 randomly inserted Mysterion figures were signed by South Park creators, Matt Stone and Trey Parker. 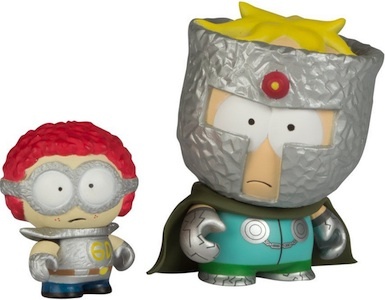 Although there have been no announcements for Kidrobot South Park Series 2, Kidrobot released a separate line of South Park vinyl figures in honor of the South Park Stick of Truth video game release. 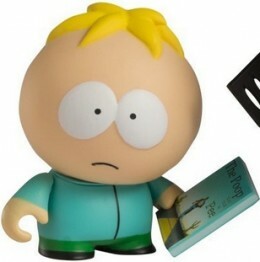 More information about South Park Stick of Truth set can be seen here. 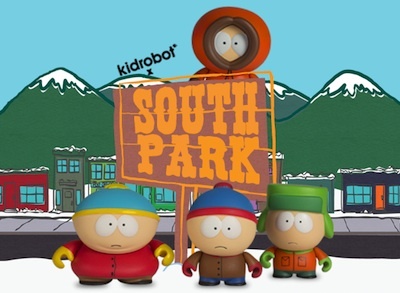 Below is a complete visual guide to all of the 2011 Kidrobot South Park Mini Vinyl Figures, including insertion odds and any accessories. 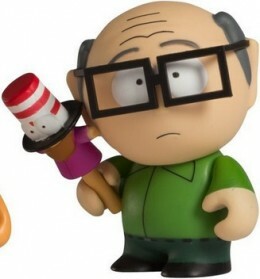 Most of the figures also come with a character sticker. 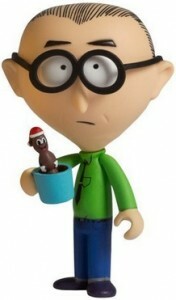 Click below to shop for individual figures. 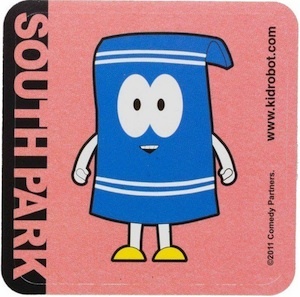 SOUTH PARK show script..."Mr. Hankey"
SOUTH PARK genuine show script..."Cartmanland"
South Park Vintage 1997 Shirt ( Used Size L ) Nice Condition!!! 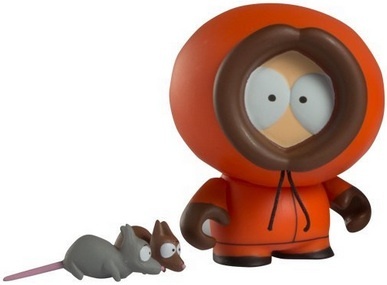 Kidrobot South Park Series 1 - Complete Set Lot, Vinyl Figures w Case Extras!